The Cloud X remixes the classic On Cloud sole for those of us who don't want to be restricted to one sport or one type of workout. Giving you soft landings and explosive take offs, the Cloud X is super lightweight and fully cushioned, ready to take whatever you have to throw at it. 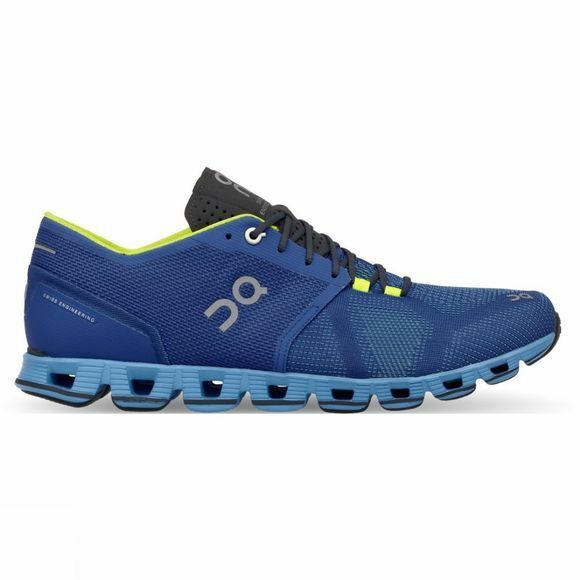 The perfect shoe for runners who actively mix their workouts, the On Cloud X features a one-piece engineered mesh upper, an adaptive first layer sock for comfort and 16 "Clouds", which move independently to support your natural gait. With elastic enhanced laces and a highly reflective logo, the Cloud X has strategically placed heel cushioning to keep your landing comfortable whilst enjoying a lightweight take off.